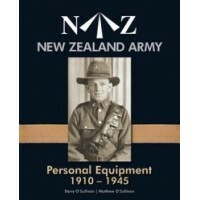 This is a companion volume to the authors very well received first book New Zealand Army Personal Equipment 1910-1945 (available from this publisher). The new book illustrates the uniforms and clothing that were worn by New Zealand soldiers in New Zealand and overseas between 1910 and 1945. Also included are some civilian clothing and auxiliary uniforms that were worn when undertaking work in connection with the war effort. The items that have been photographed or described include the vast majority of uniform and clothing types worn by New Zealanders. 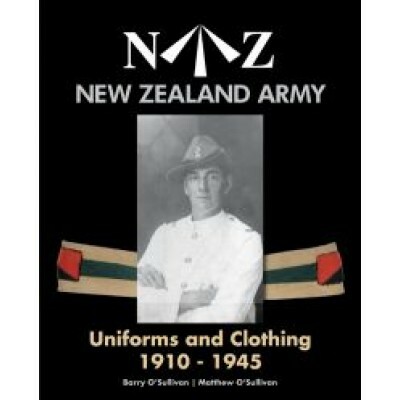 Included in the book are over 550 items of uniform and clothing pieces, and over 100 historic photos (including 6 photos of New Zealanders in Samoa) that have never been published before. The 100 plus armlets photographed creates the largest number ever published in New Zealand. The uniforms and clothing illustrated include items worn by Officers, Warrant Officers, Other Ranks and Women. The book includes items manufactured in New Zealand, India, Great Britain and America - Service Dress, Battle Dress, Khaki Drill, Dress Blue, Fatigue clothing and the never before detailed or photographed New Zealand made and hand-painted jungle camouflage clothing. Also included are sections on jackets, trousers, shorts, pantaloons, shirts, footwear, head-wear, gaiters, putties, overcoats, jerkins, underwear, knitwear, gloves, armlets, miscellaneous items and an addendum to the equipment volume containing images of equipment that has since been discovered. Some of the individual items photographed are WW2 battle dress boots, WW1 entertainment troupe costumes, shorts with turn-ups, camouflage shirts, ski clothing, rugby jerseys, kilts and even a jock strap! This publication will be of special interest to museums, students of NZ military history, militaria collectors, historical societies, auction houses, antique dealers, film and television producers, military modellers and internet traders.